The travails of the Pac-12 are well-documented. Both the conference or the network are falling behind its competitors as far as college football and carriage are concerned. When Commissioner Larry Scott started with the conference, he was hailed as a media visionary. The Pac-12 Network was formed in 2011 with hopes that it would be a cash cow for the league, but it hasn’t happened that way – and it doesn’t look like that will be happening any time soon. Scott came over from the tennis world, where he increased sponsorship revenue and formed lucrative television partnerships in Europe. It was that expertise in TV that the Pac-12 was hoping to tap, but instead, the league’s lack of a broadcast partner for the network and its seven-year dispute with DirecTV have caused the league to fall behind in college football, shut out of the Playoff for the third time in four years. The league’s bowl record last season was 1-6, the worst among the Power Five Conferences. And there are questions whether the league can continue on this path. Scott has promoted the Pac-12 as “The Conference of Champions,” but its football, which counts the most among fans, is leaving a bad taste in the mouths and fans and alumni across the country. In addition, the Pac-12 is lagging in the money distributed to member schools at just $31 million per university, as compared to $41 million for the SEC and $37 for the Big Ten. But what makes matters worse is that the Pac-12 has far higher expenses than its rival Power Five conferences. The Oregonian looked at what the conference is paying compared to other leagues and the figures aren’t pretty. Scott’s yearly salary is twice as much as Big Ten Commissioner Jim Delaney ($4.8 million to $2.4 million) and 2.5 times more than SEC head Greg Sankey ($1.9 million). Conference insiders cast Scott as whip-smart and a scary-good negotiator. Others say he fosters a totalitarian culture, revels in the luxurious perks of his job, and uses his shrewd negotiating tactics in ways that harm the conference itself. And there’s the Pac-12 headquarters in San Francisco, which costs almost $7 million annually to rent. The Big Ten and SEC aren’t paying close to that. By comparison, the SEC is headquartered in a 25-year-old, two-story building in Birmingham, Ala. The rent costs the conference $318,000 a year. The Big Ten Conference office makes its primary home in suburban Chicago and also, has a satellite office in New York. Annual rent: $1.5 million. The Pac-12 Conference headquarters cost the conference $6.9 million in rent in the last reported fiscal year. They’re also carrying $11.7 million in deferred rent. But as the Pac-12 Network plods along without a network partner and DirecTV still not carrying the network, the league is managing both the production of games and the hiring of talent, something neither the Big Ten and SEC are doing. 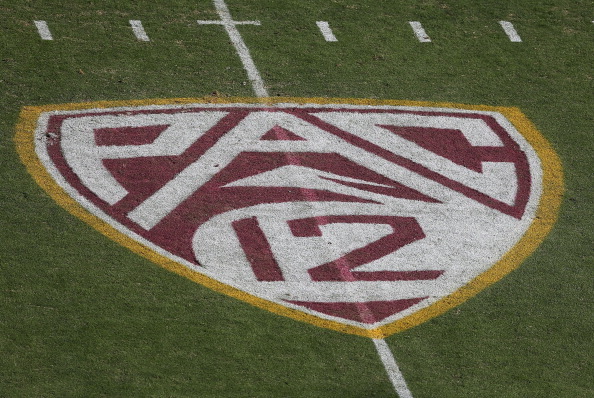 Of the 112 full-time employees who work for the Pac-12, only 42 work for the conference itself. The rest are employed by the network. The SEC and Big Ten sell their media rights but aren’t in the media-production business. The Pac-12 offices include 90,000 of square footage dedicated to studios, production bays, control rooms and a host of directors, technicians, equipment and talent. The Big Ten has Fox as its partner for the Big Ten Network and the SEC has ESPN. Both networks run the channels and do the hiring, so all the Big Ten and SEC have to worry about is providing the actual games to televise. Next season, ESPN will launch the ACC Network and there’s the potential for the ACC to also surpass the Pac-12 in revenue as long as the current situation holds. The easy solution for the Pac-12 is to partner with one of the sports networks, but that’s easier said than done at this point. ESPN and Fox are seemingly happy with their partnerships with the other leagues and may not be looking to add another league network. Comcast, which shares the building in San Francisco where the Pac-12 is housed, came close to winning the rights to the Pac-12 in 2011, but lost out to ESPN and Fox. Perhaps there’s Amazon, since the Pac-12 is in tech country, but that could be an extremely long shot right now. Making matters worse is the fact that DirecTV’s owner, AT&T, plans to drop Pac-12 Network on its U-Verse cable systems. When the networks launched earlier this decade, U-Verse was one of the original cable providers to sign on, but that was before the company bought DirecTV. AT&T is completing the shutout by removing Pac-12 from its U-Verse lineup. Larry Scott and the Pac-12 are being held to the fire by member schools and fans who wonder when they’ll see some fruits to the seeds that were planted back in 2011. But as long the league fails to get into the College Football Playoffs and continues down this road to limited national coverage, there will be continued frustration. There’s no end to the the DirecTV dispute, and the increased costs are exacerbating a situation that is leaving the Pac-12 in the dust.